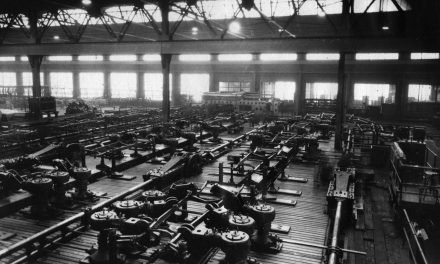 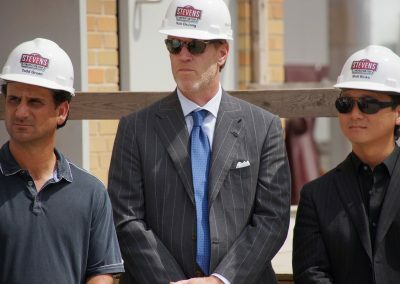 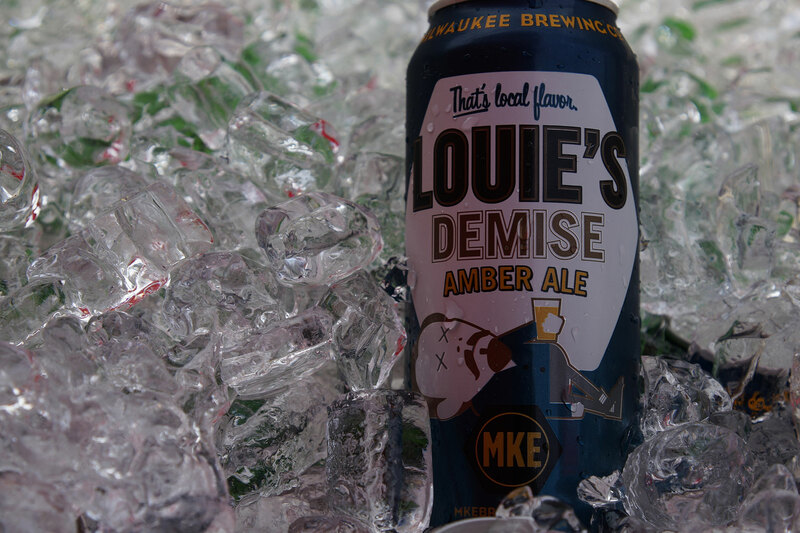 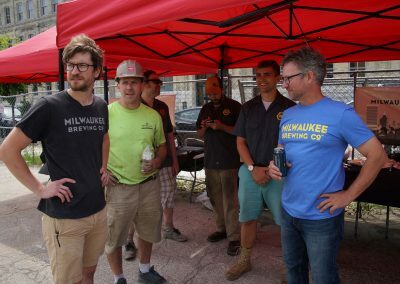 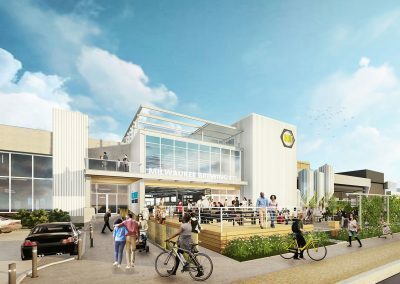 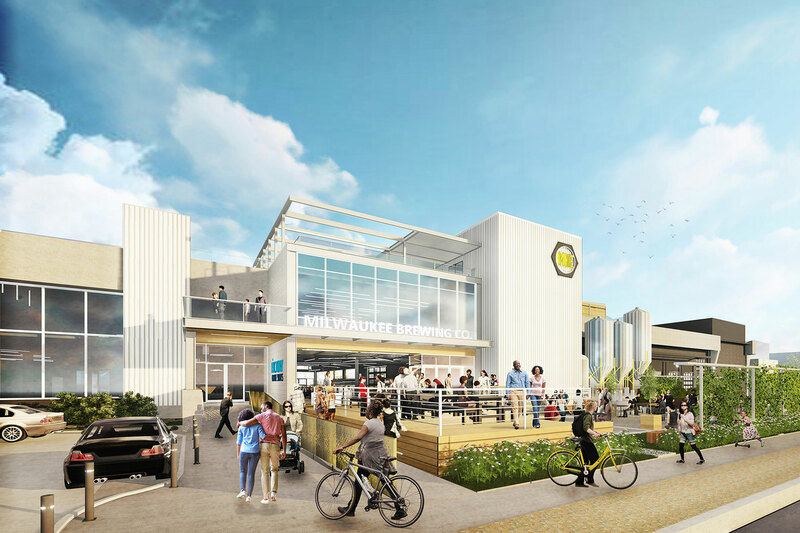 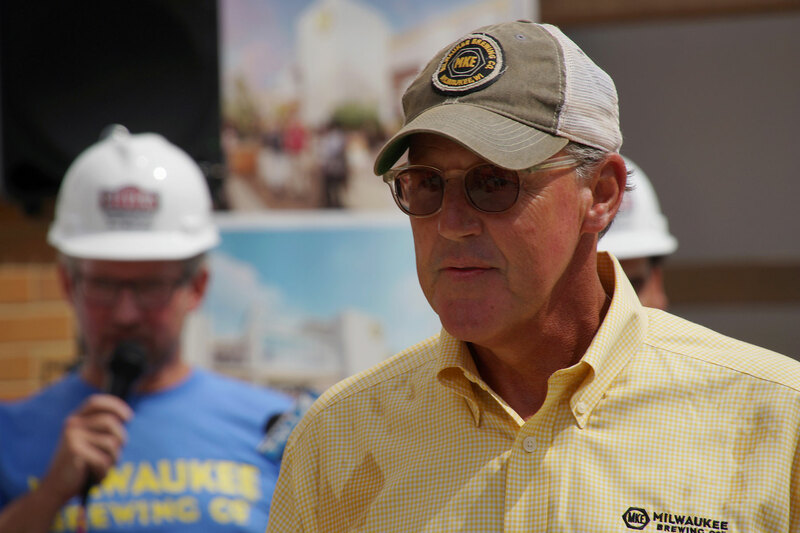 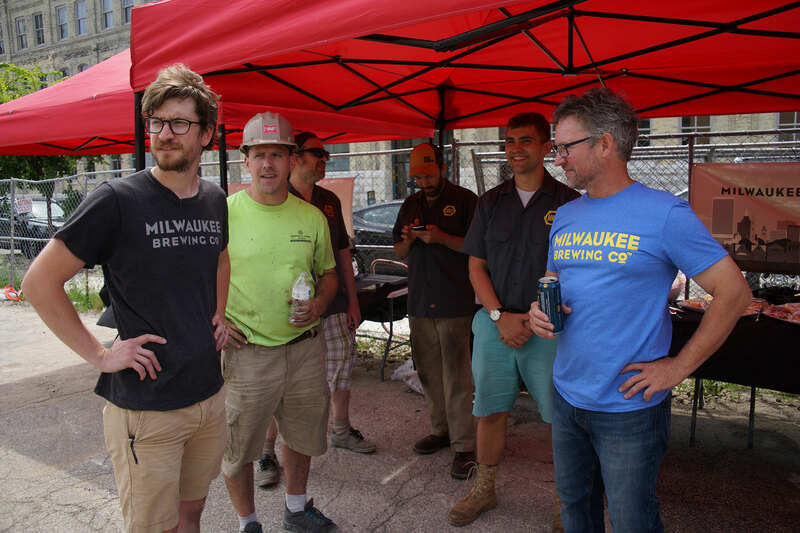 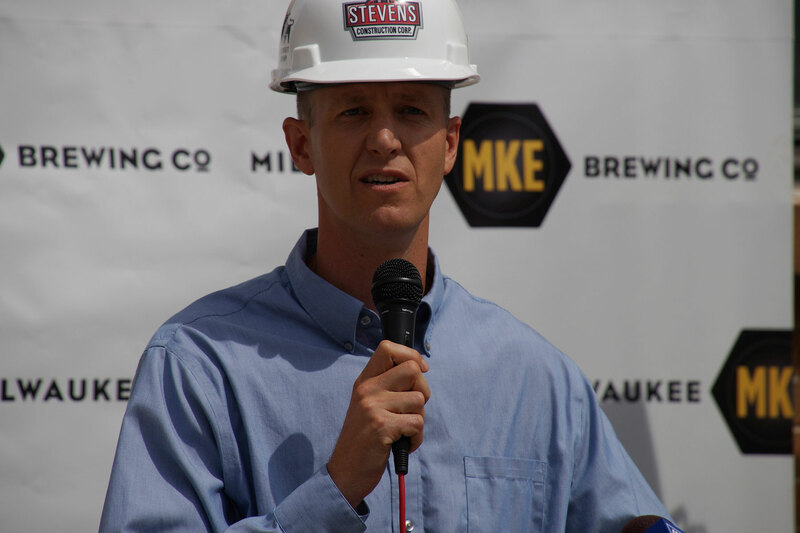 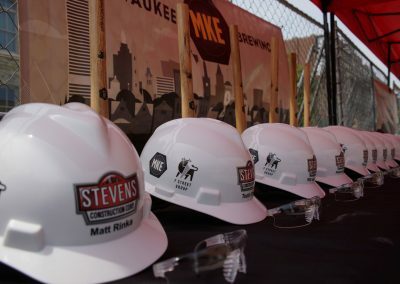 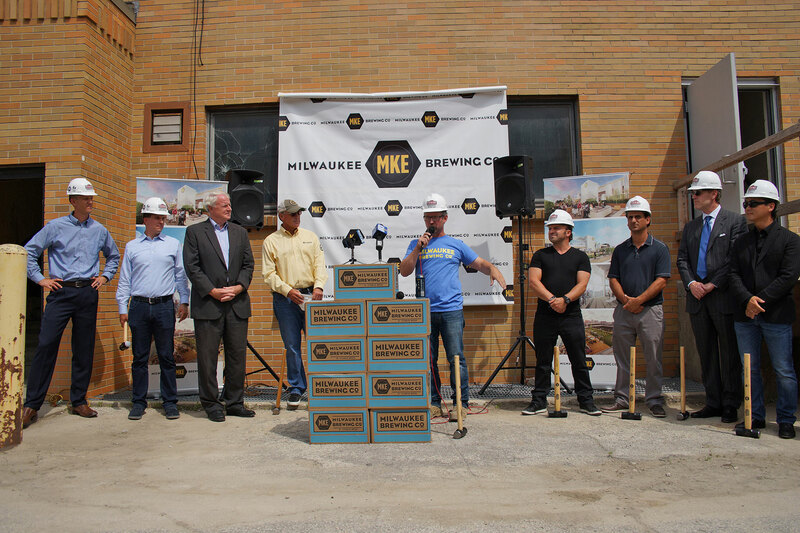 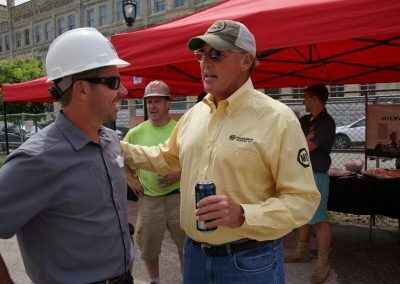 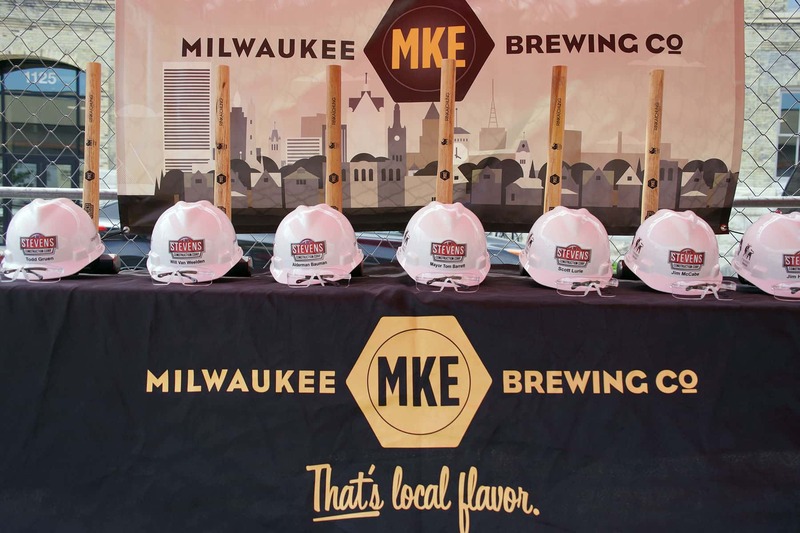 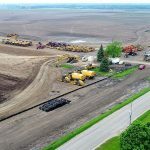 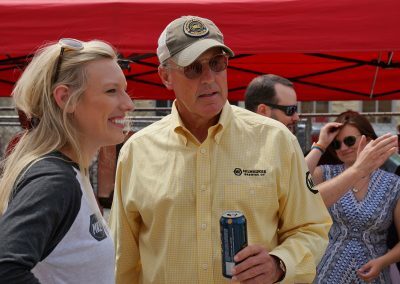 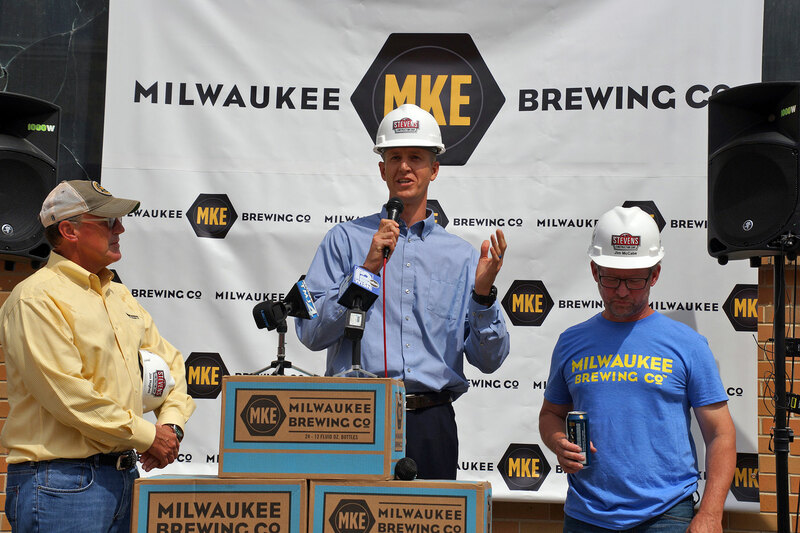 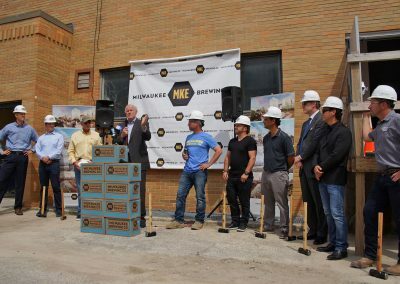 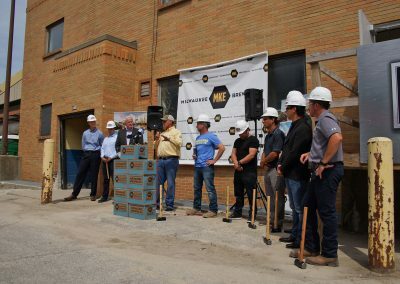 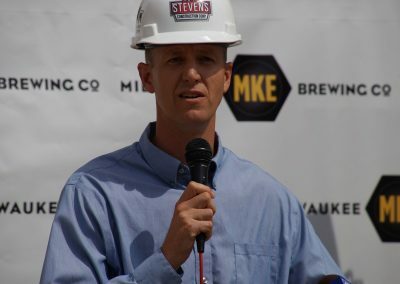 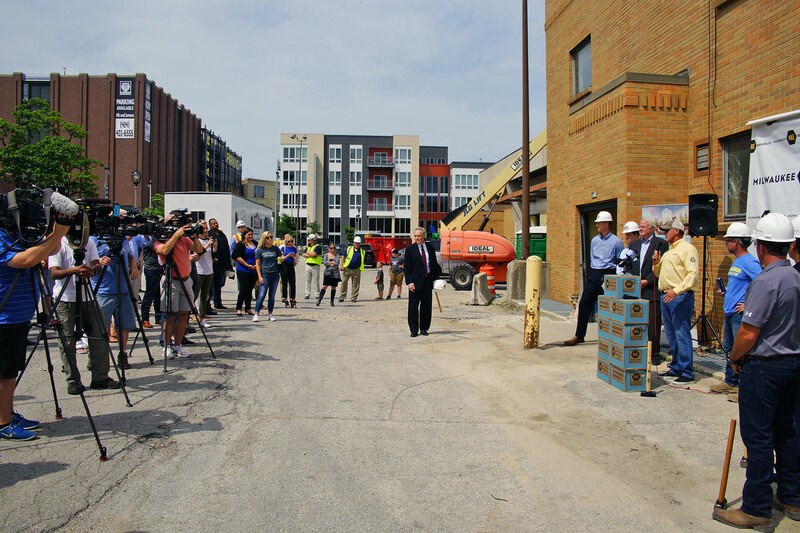 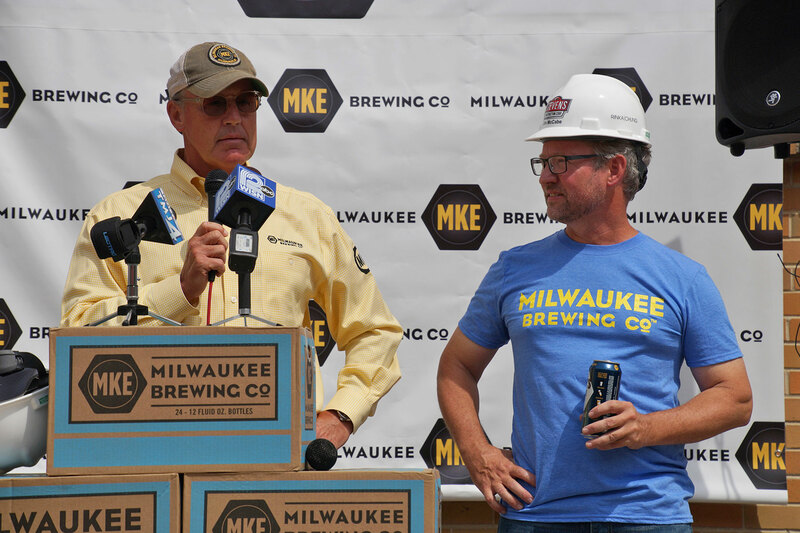 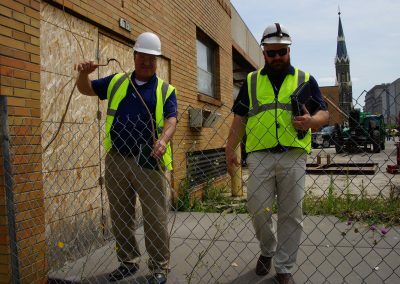 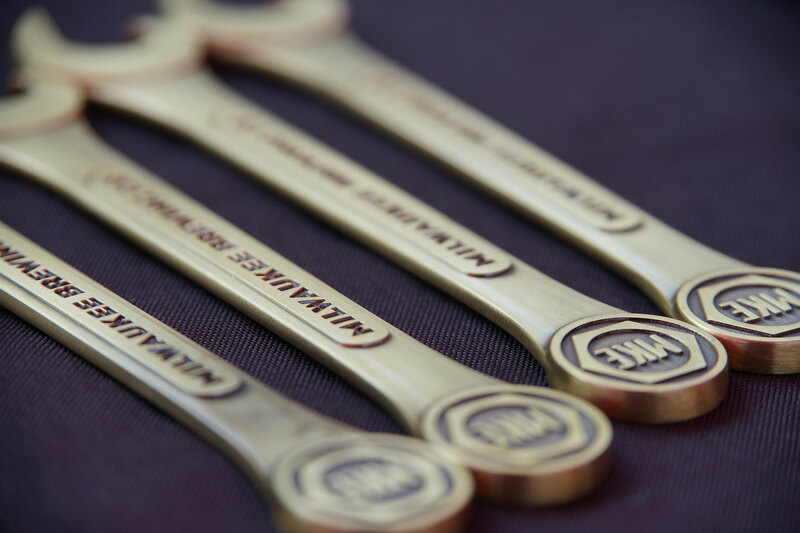 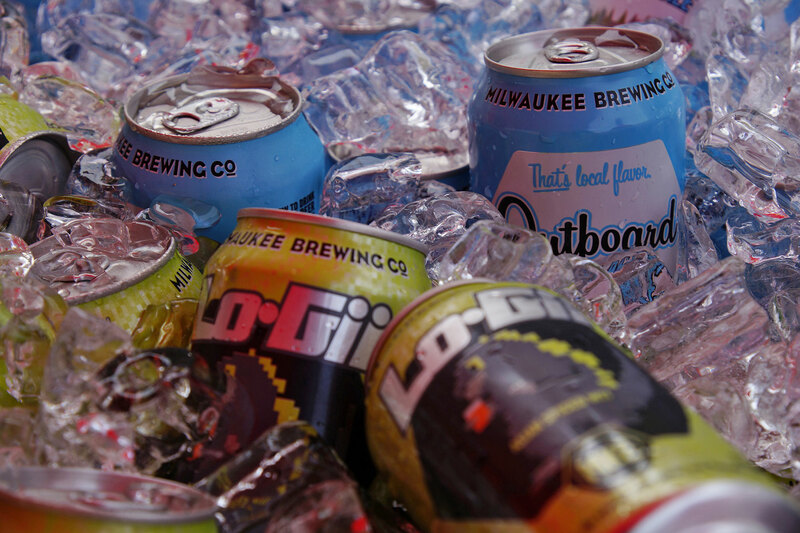 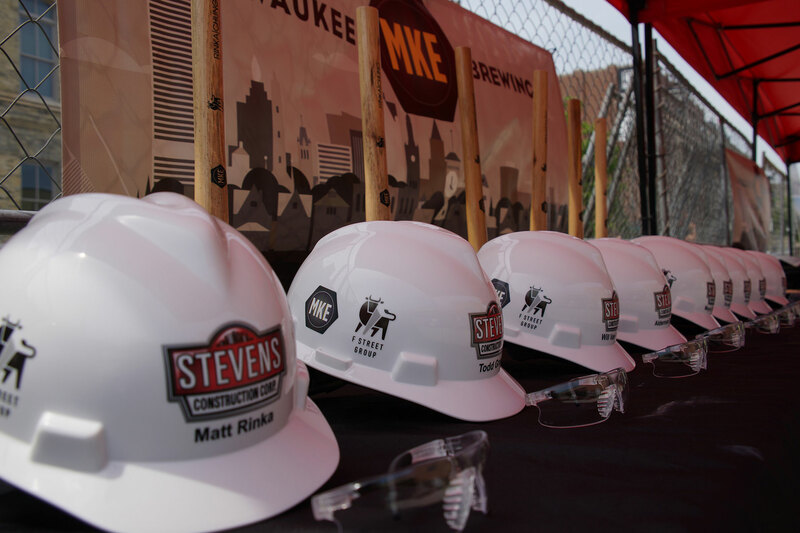 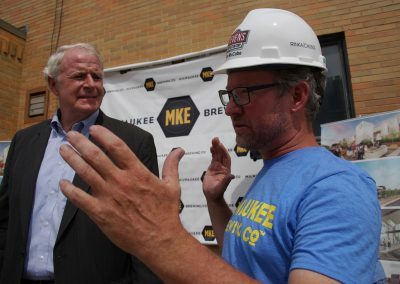 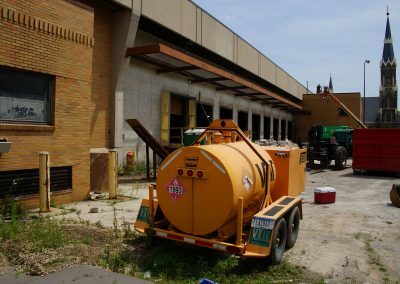 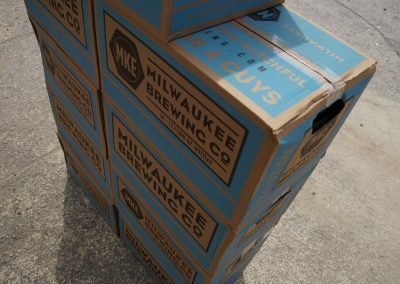 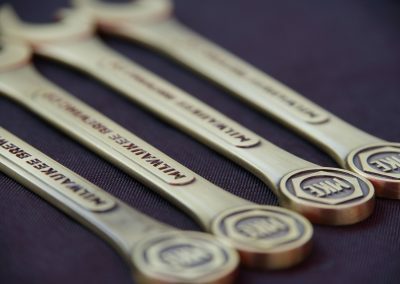 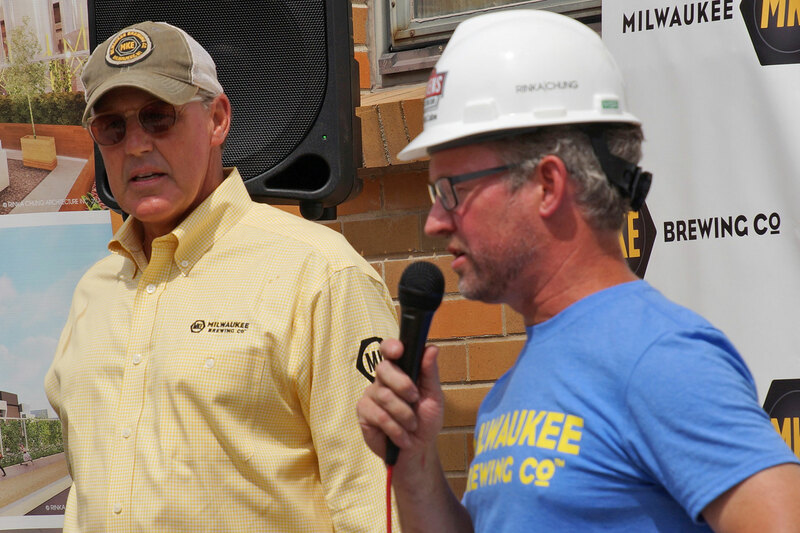 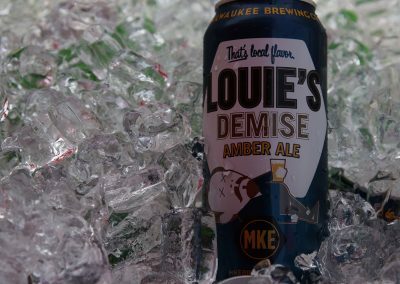 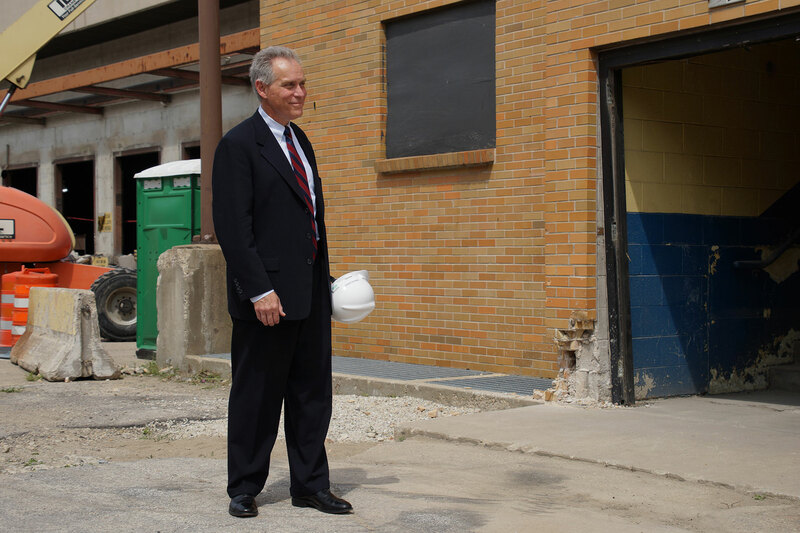 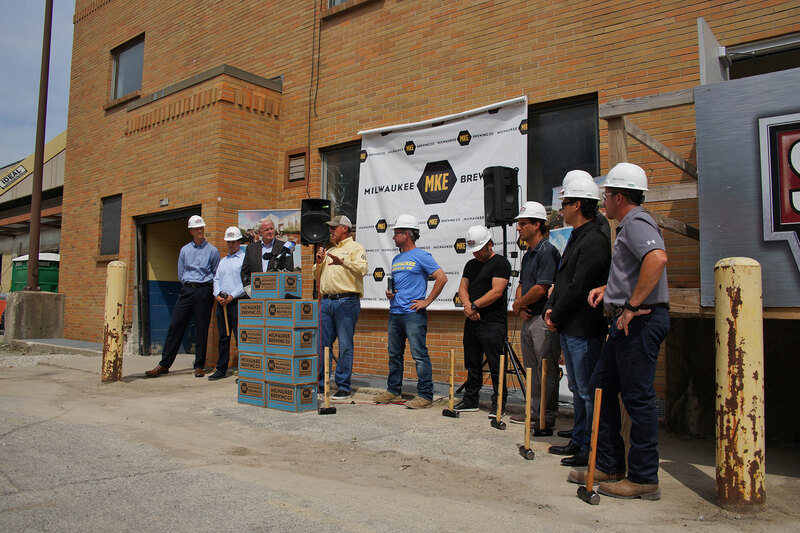 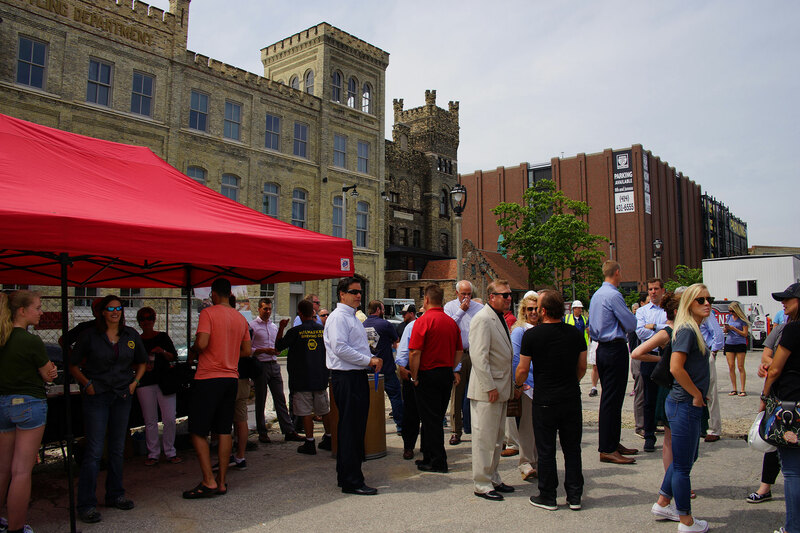 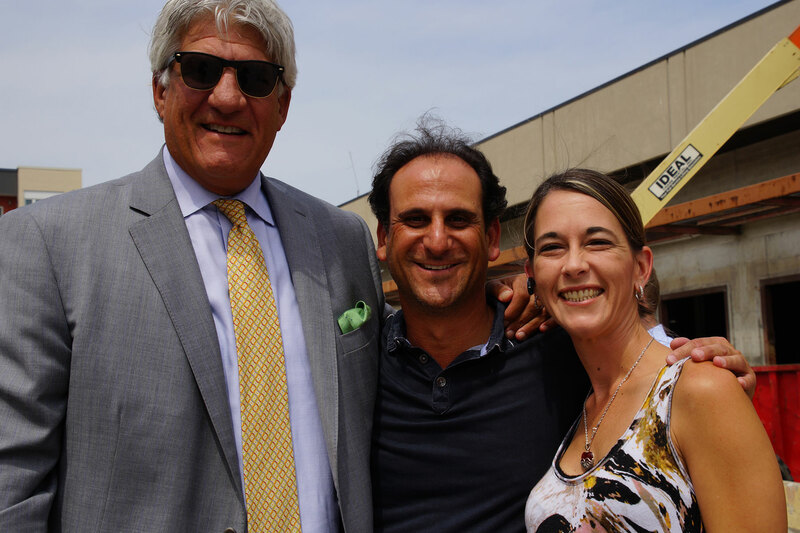 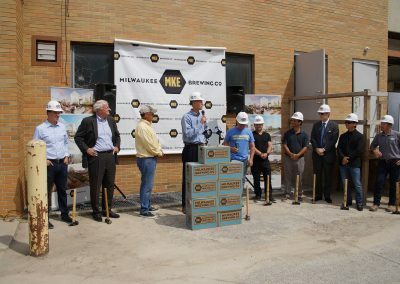 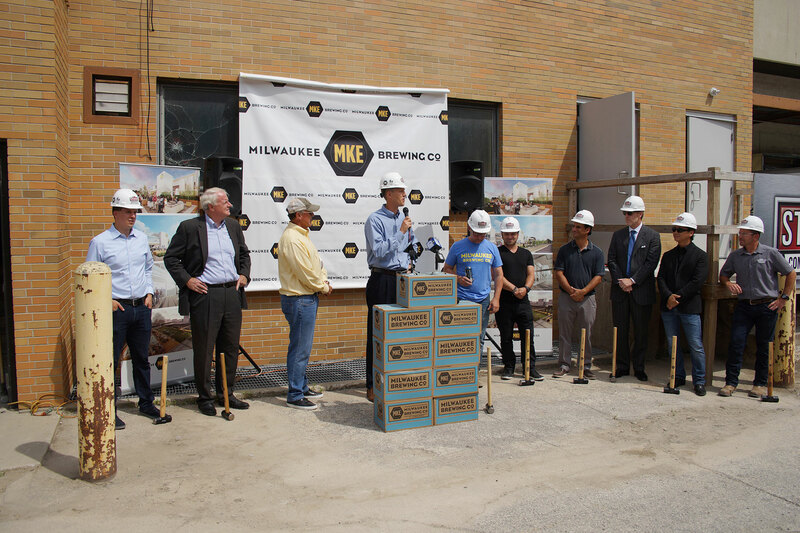 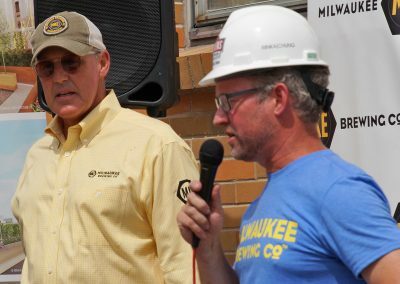 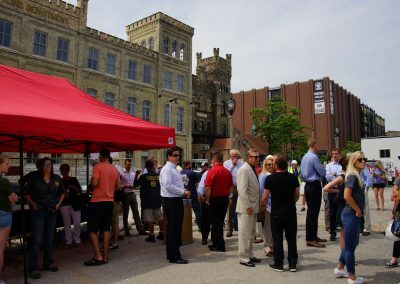 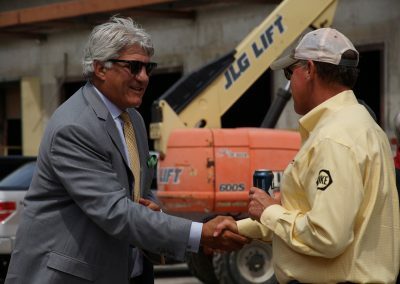 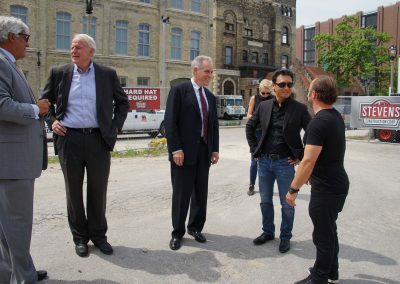 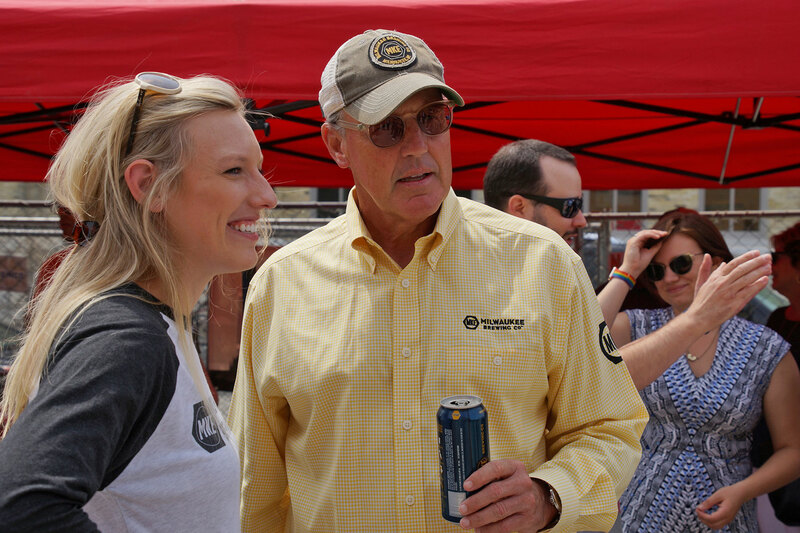 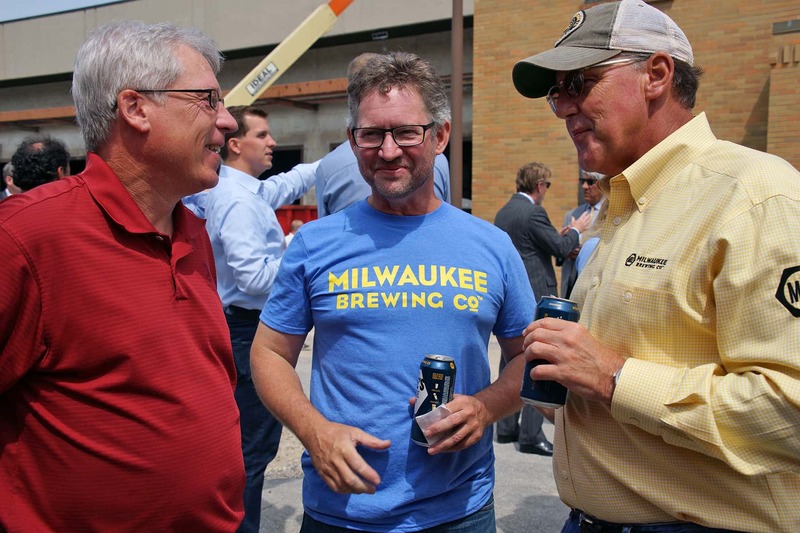 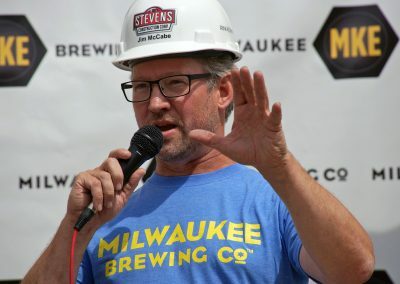 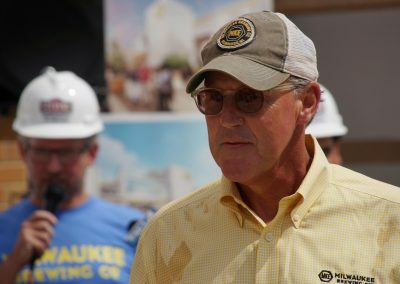 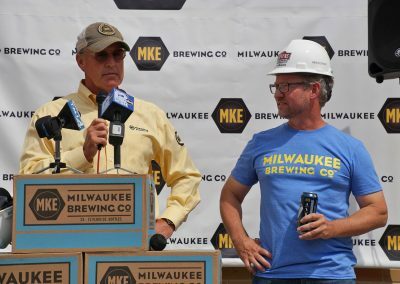 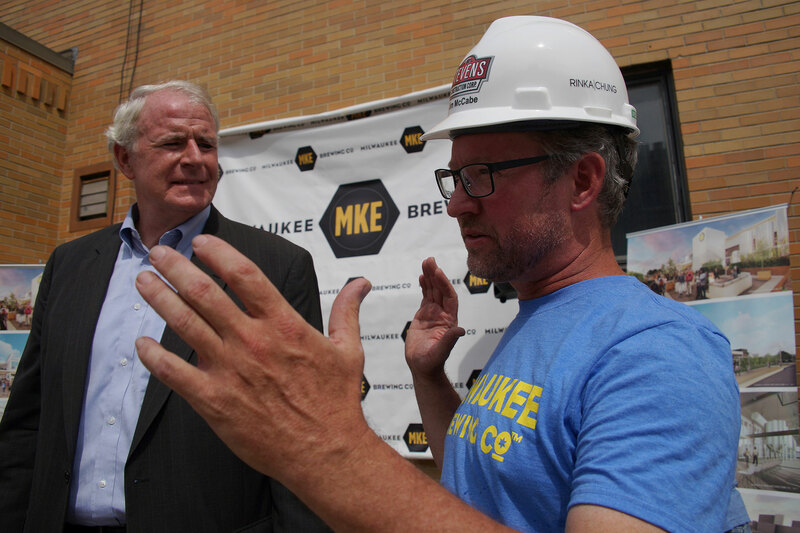 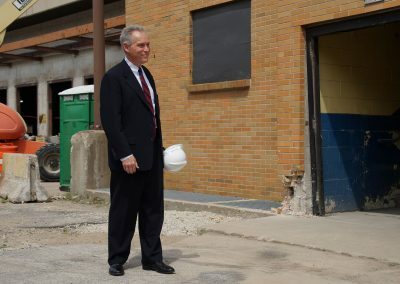 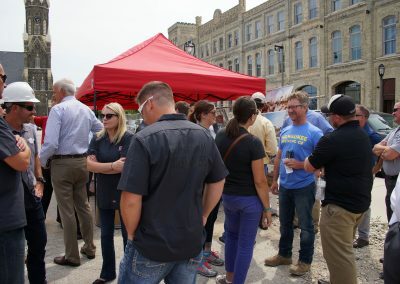 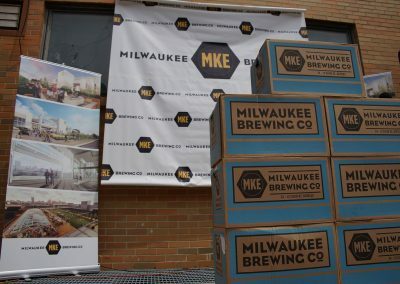 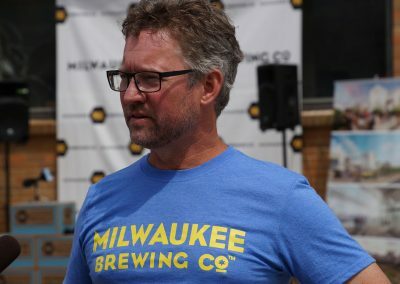 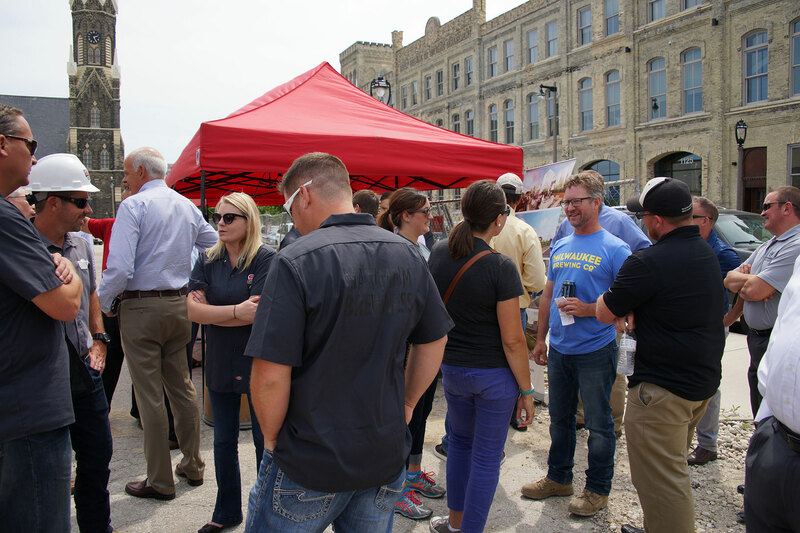 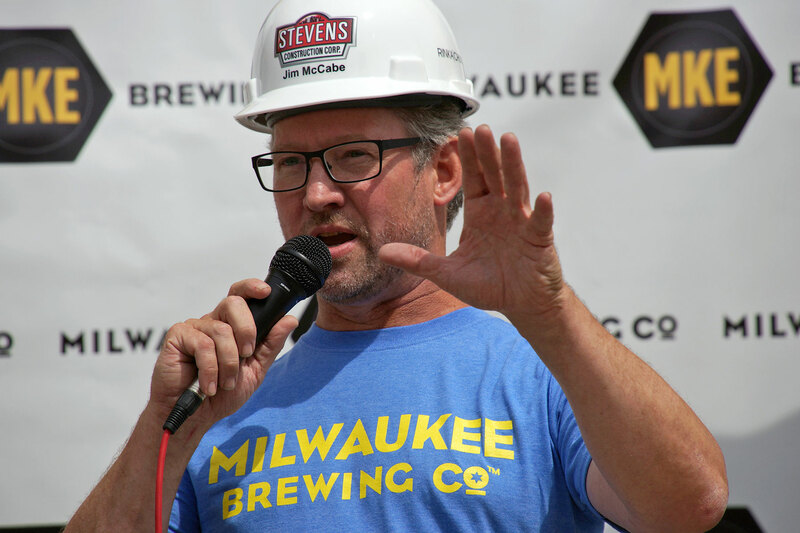 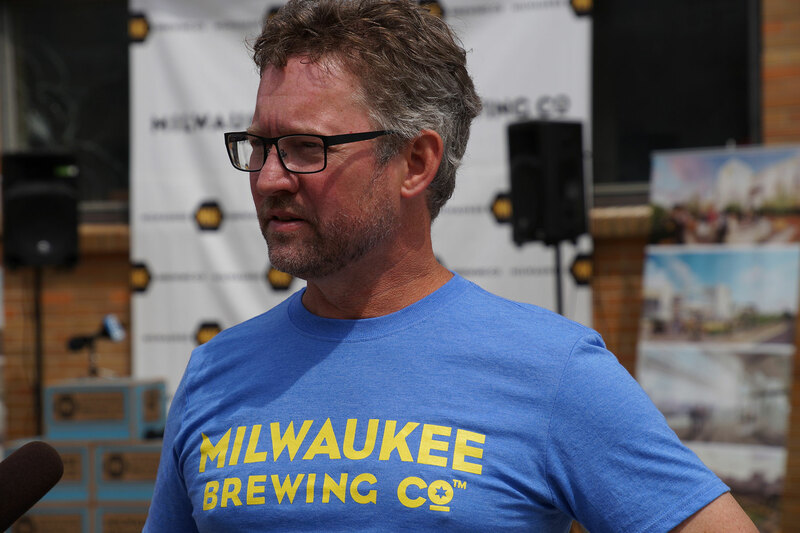 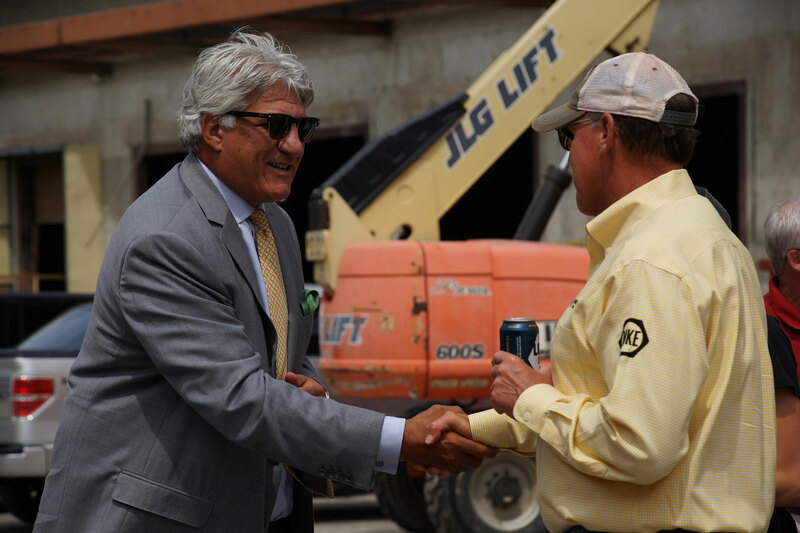 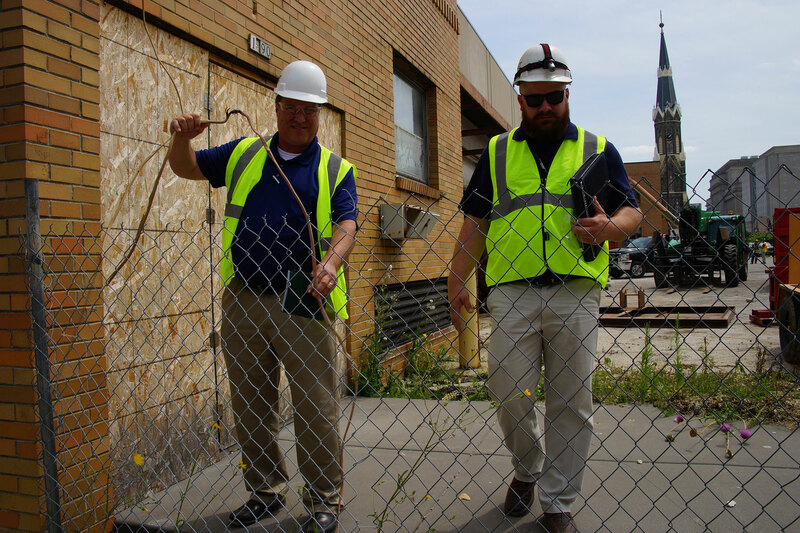 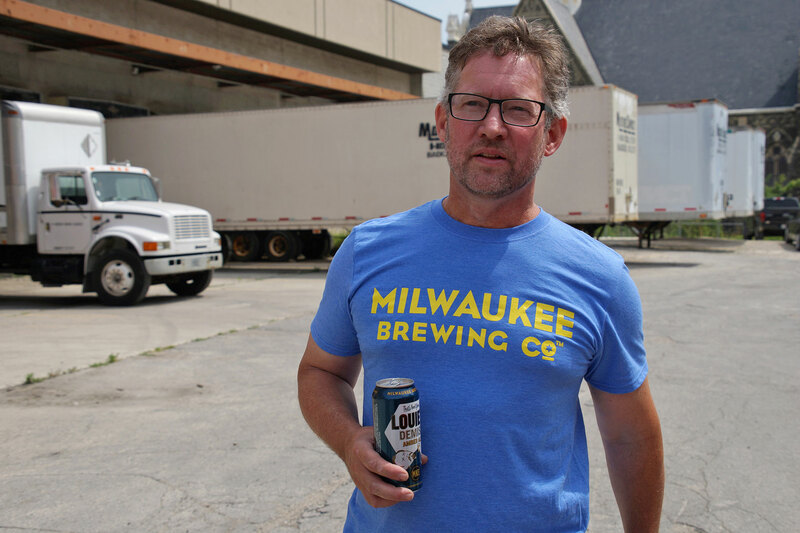 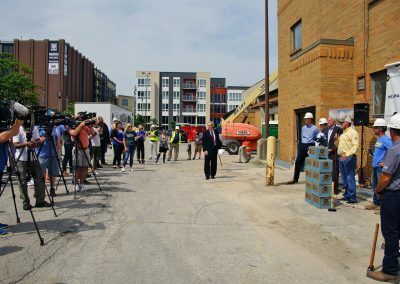 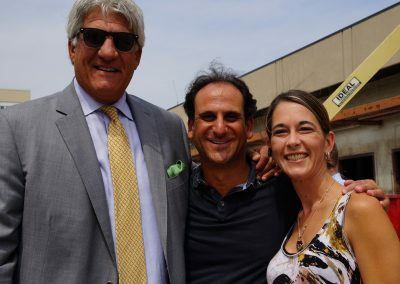 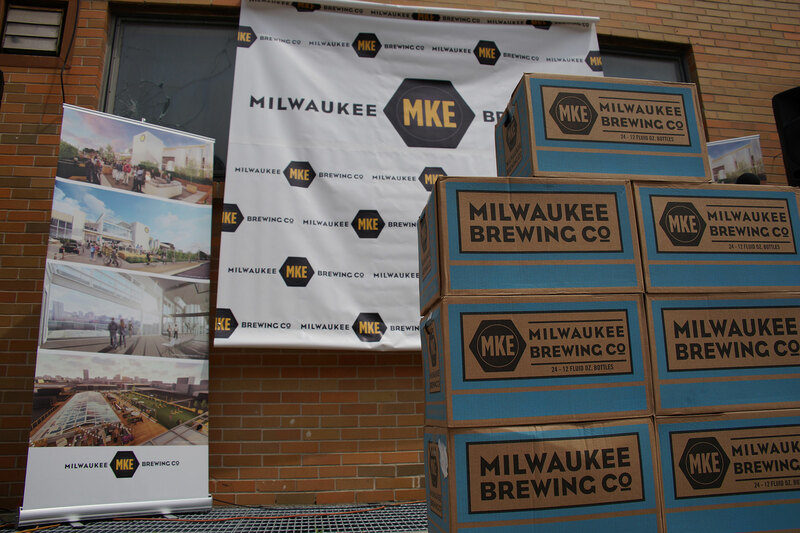 The next chapter for the Milwaukee Brewing Company began on July 25 with a formal groundbreaking ceremony at the former Pabst Distribution Center. 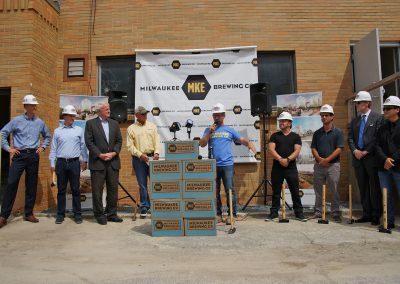 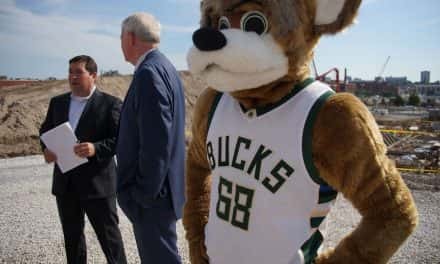 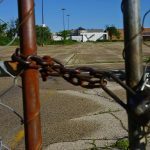 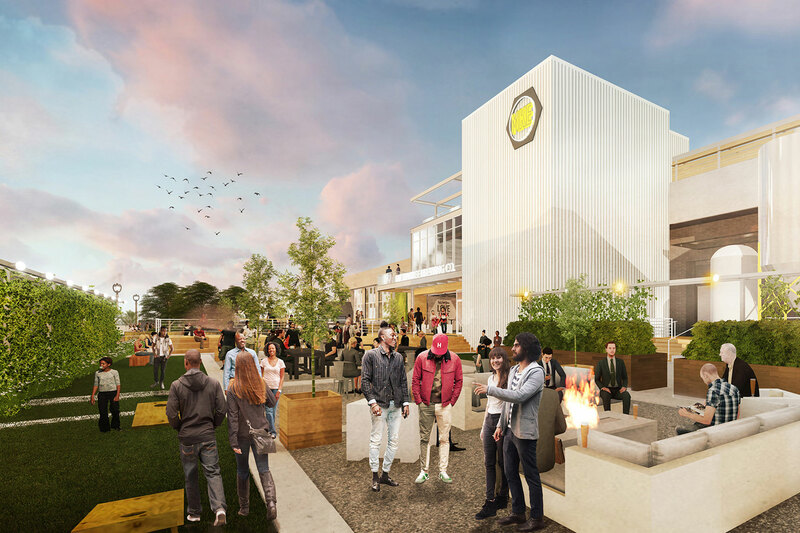 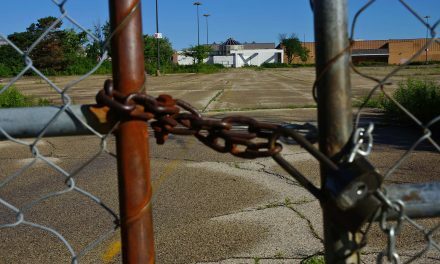 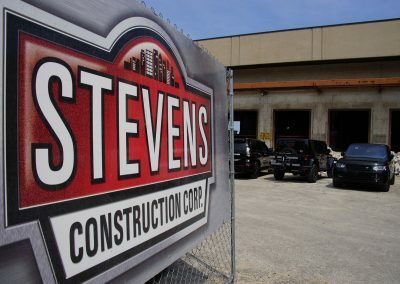 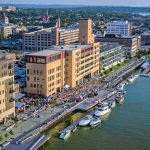 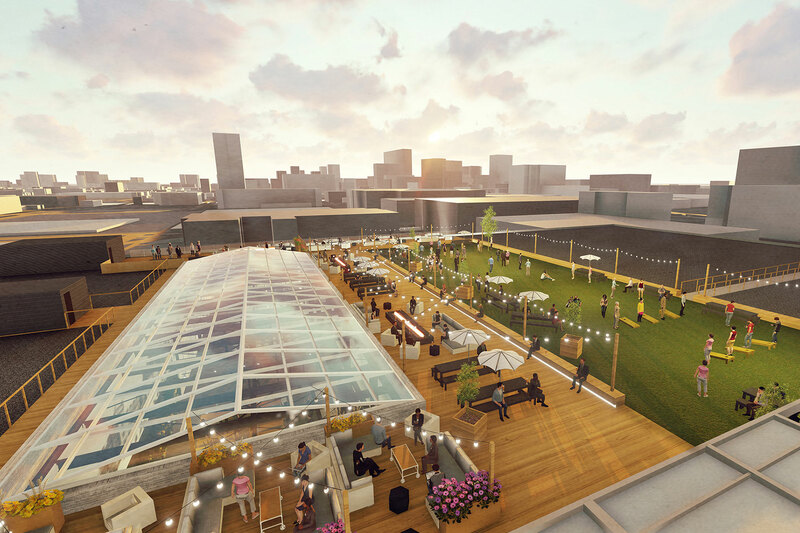 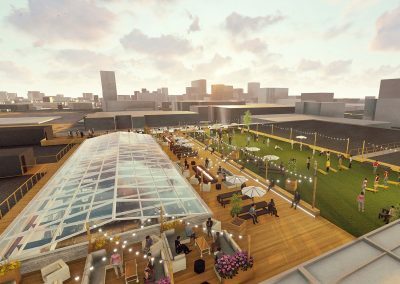 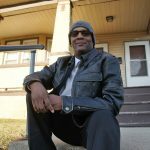 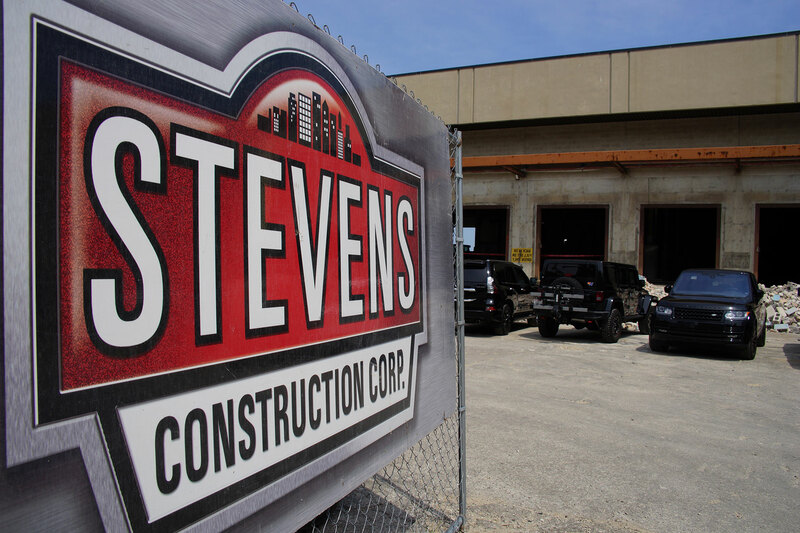 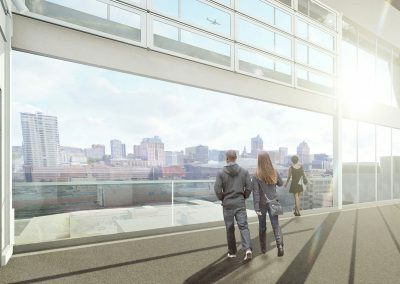 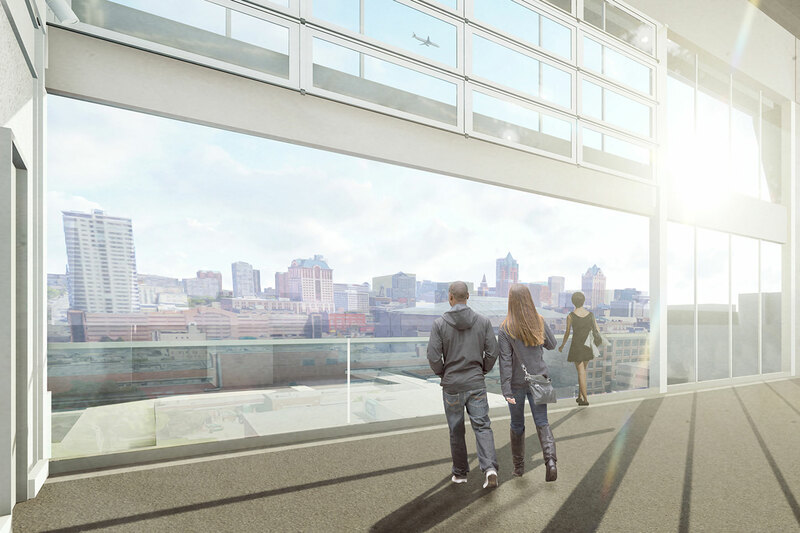 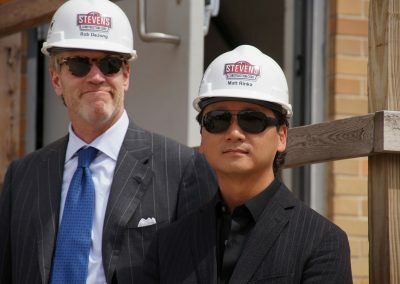 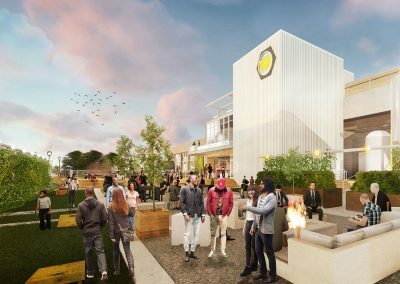 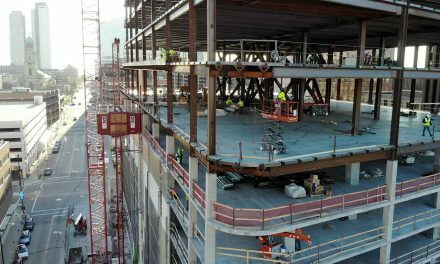 The property has remained vacant for the past decade, and the 50,000 square-foot building will be transformed into a modern space that will include a brewery, tasting room, retail store, rooftop patio-bar and, offer an amazing view overlooking the arena district and Milwaukee skyline. 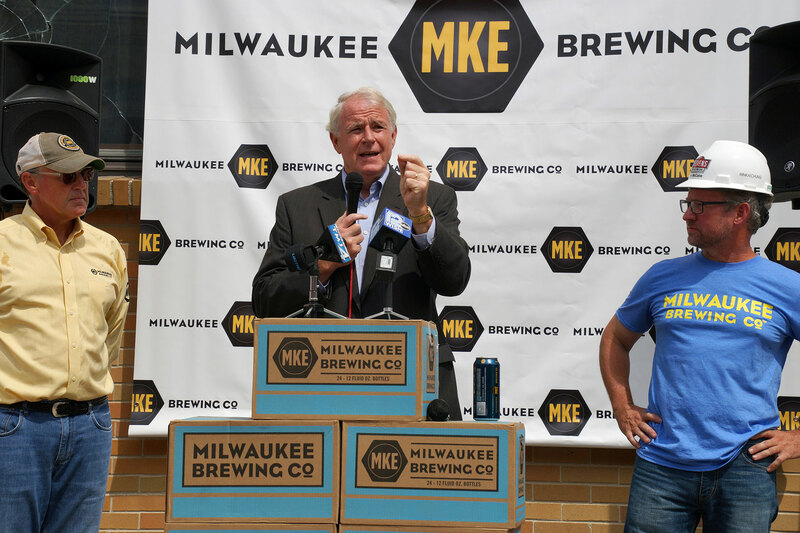 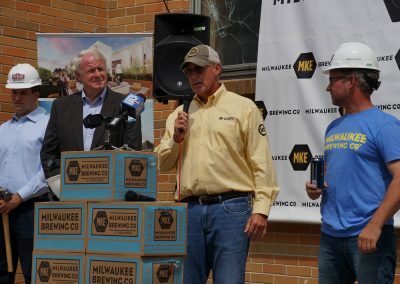 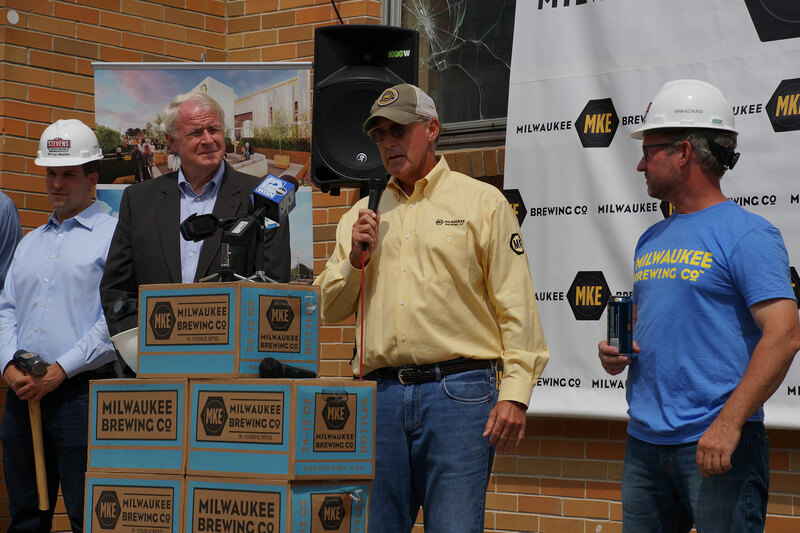 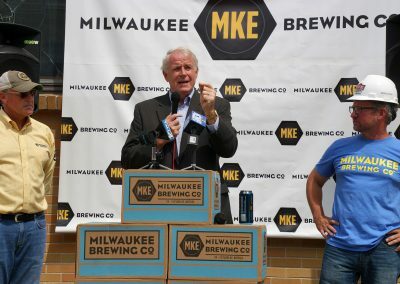 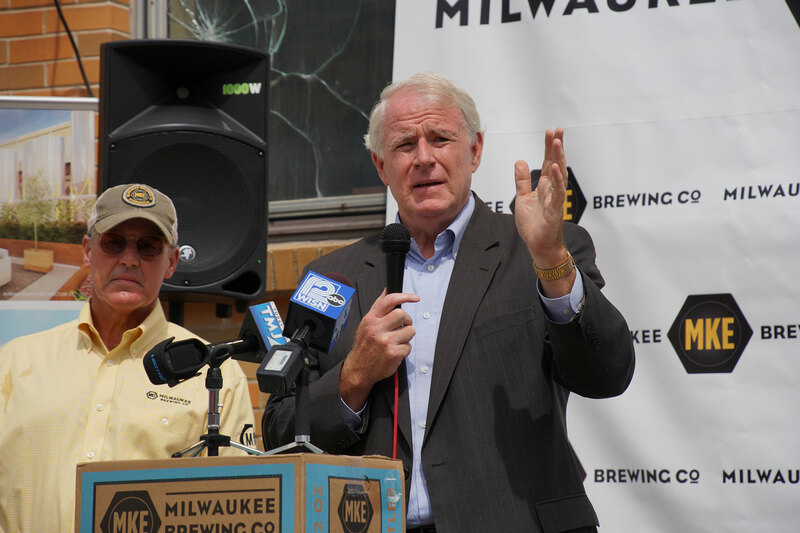 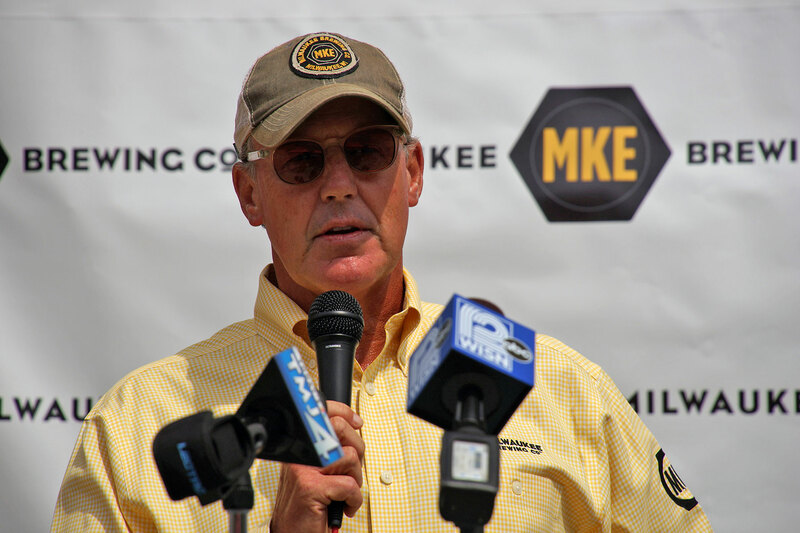 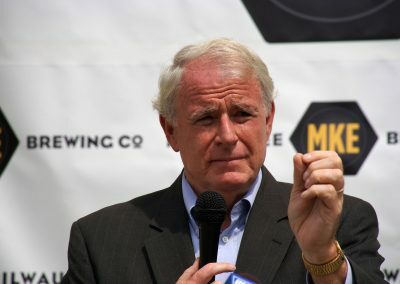 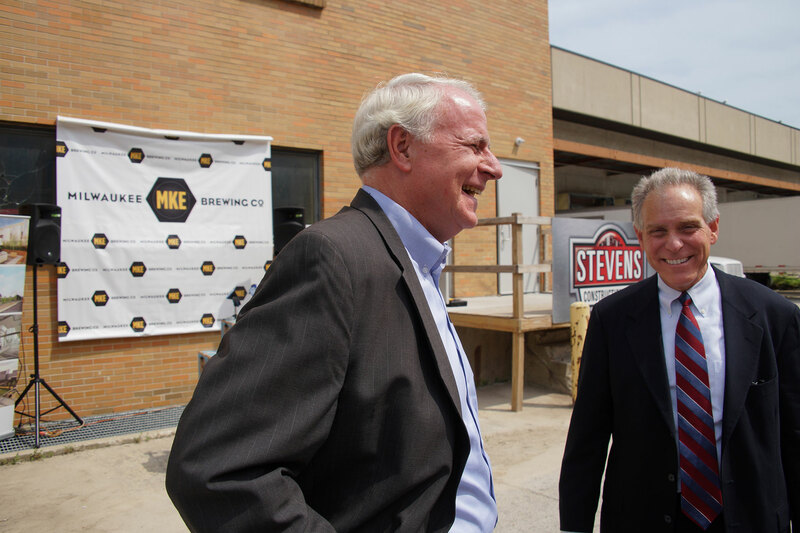 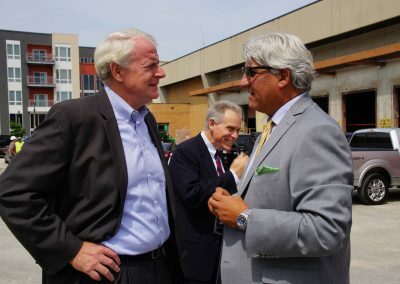 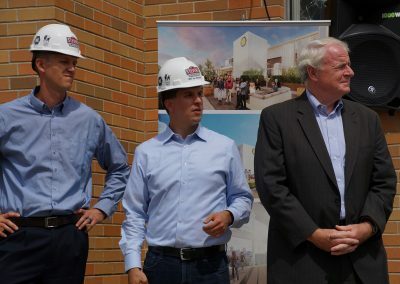 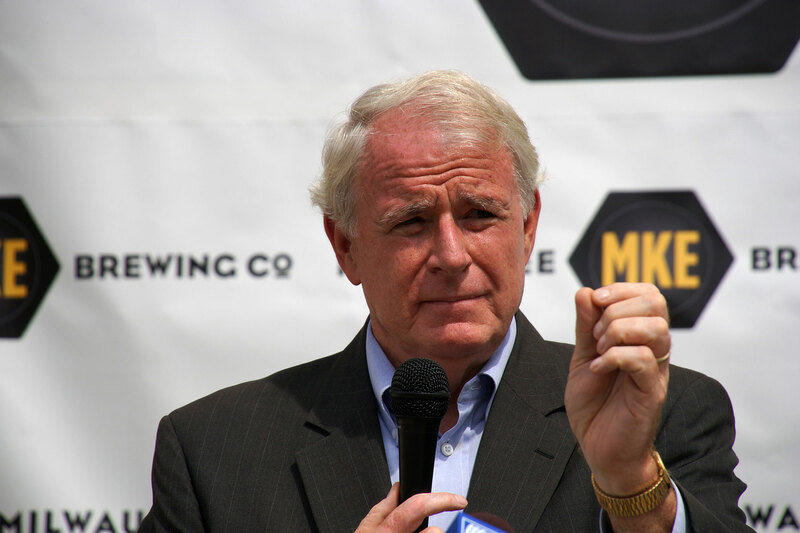 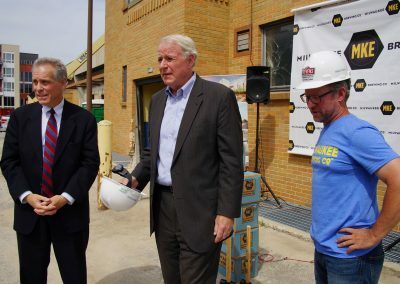 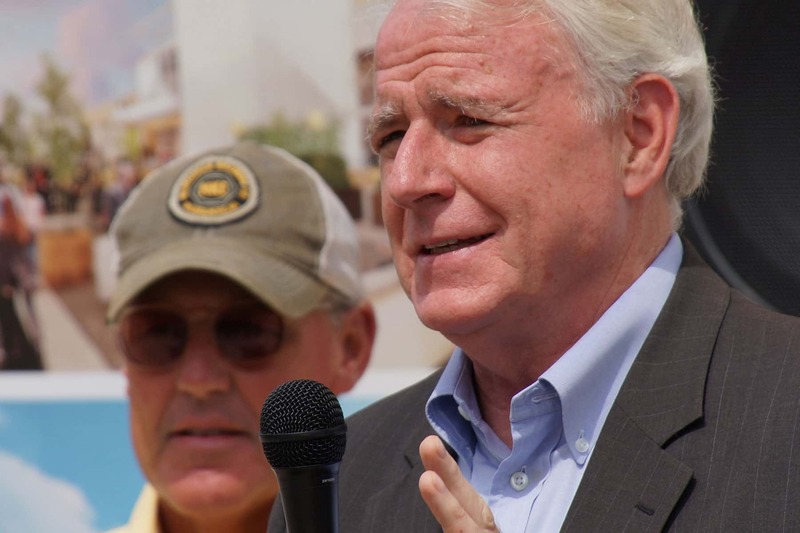 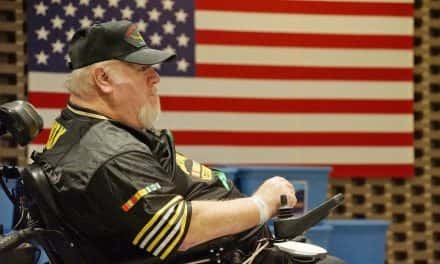 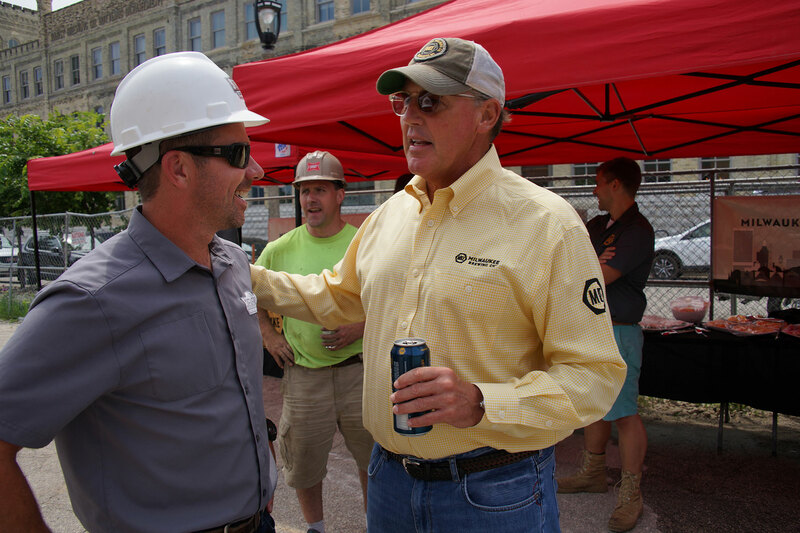 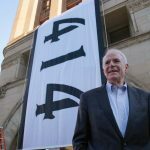 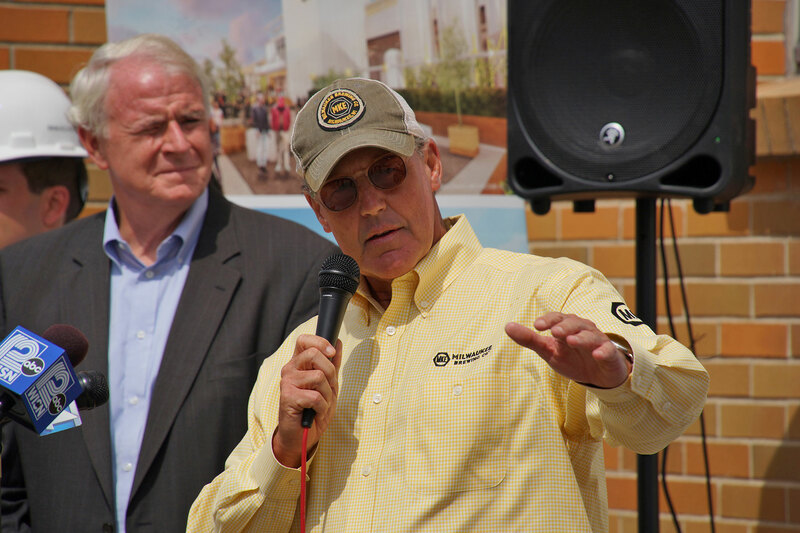 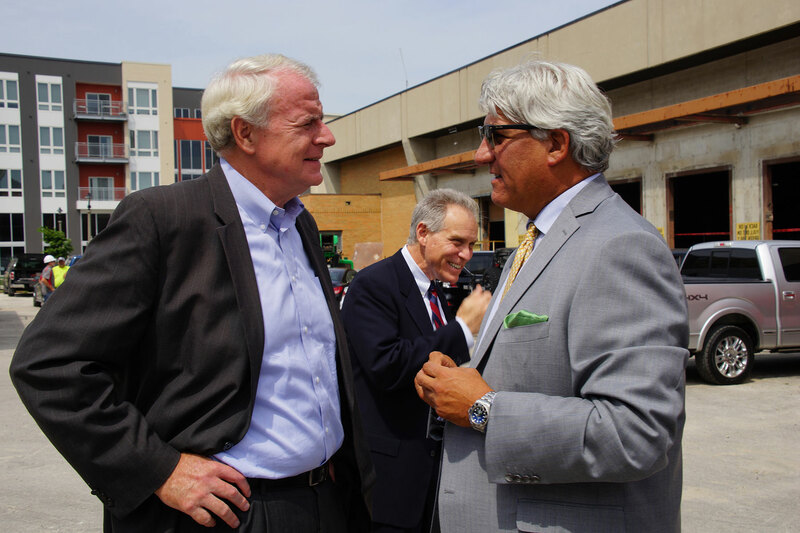 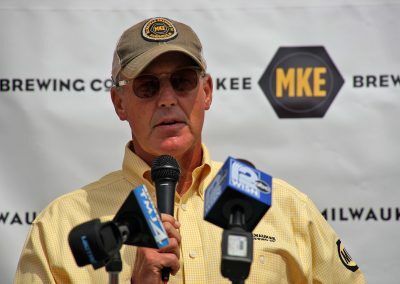 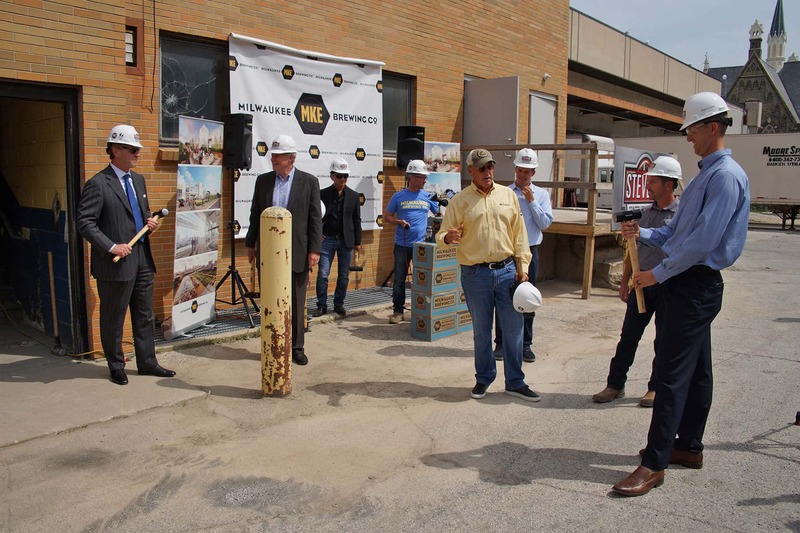 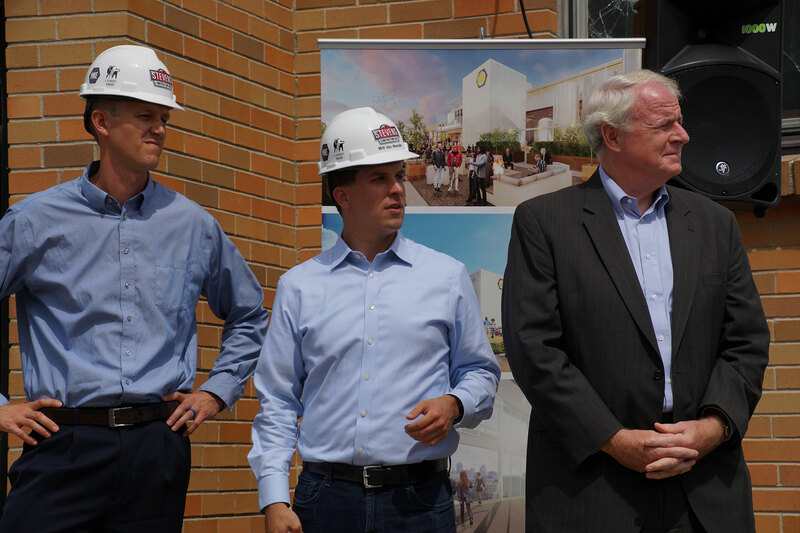 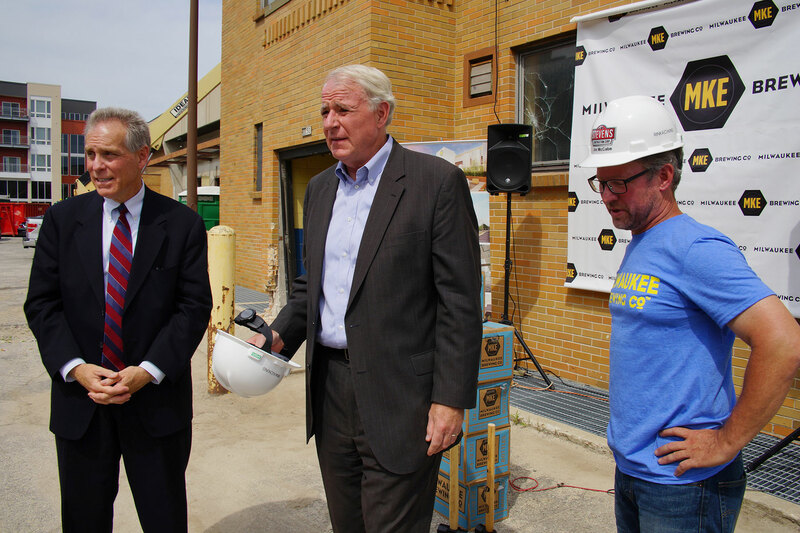 Participating in the event were Jim McCabe and Jim Hughes, Co-owners of Milwaukee Brewing Company, Mayor of Milwaukee Tom Barrett, and Wisconsin State Representative Dale Kooyenga. 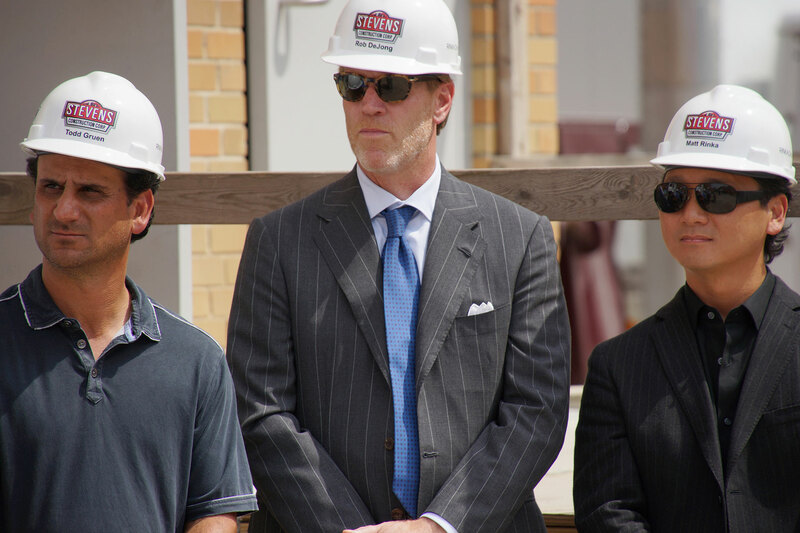 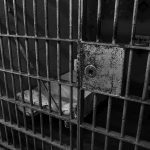 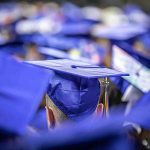 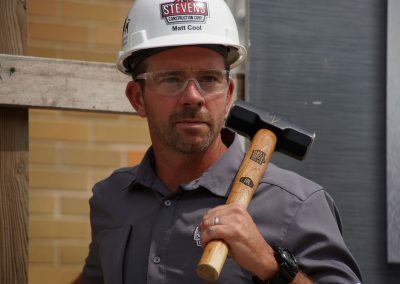 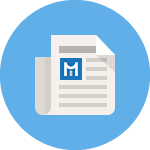 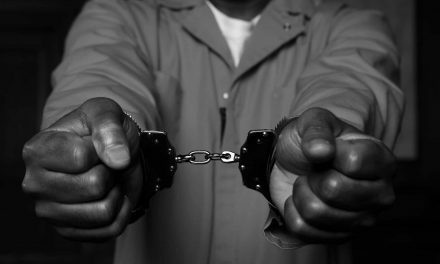 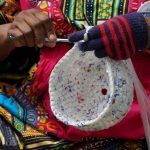 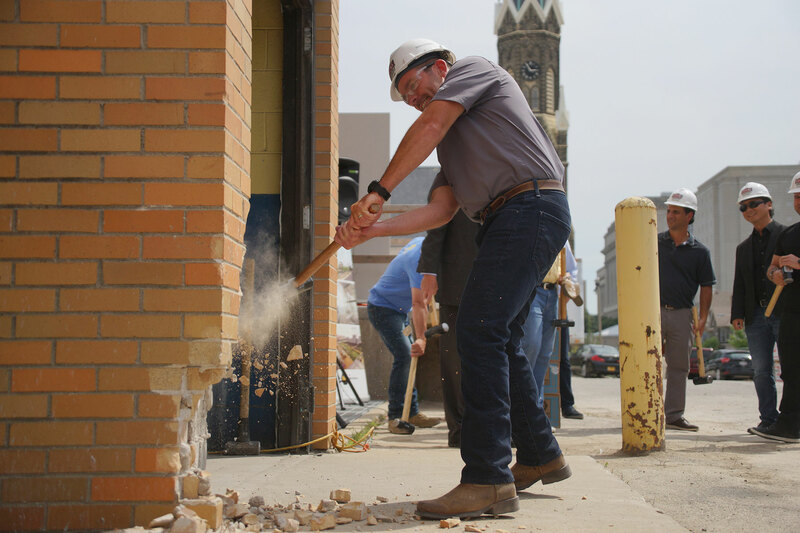 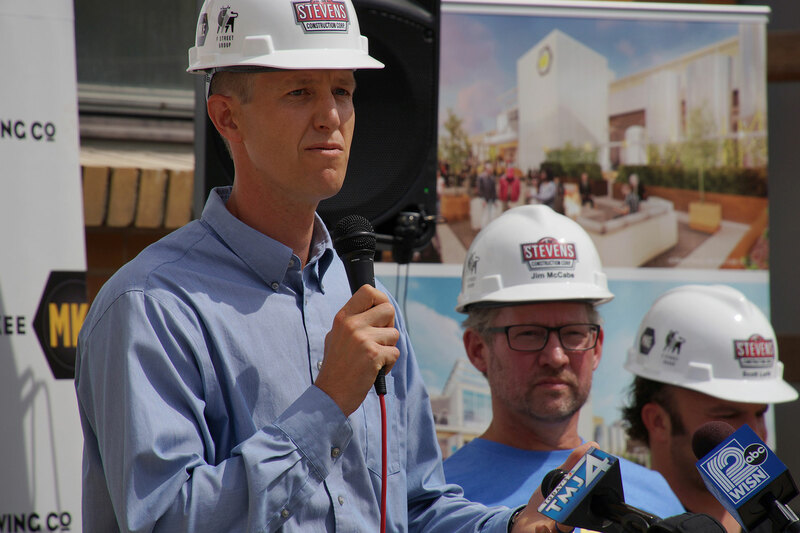 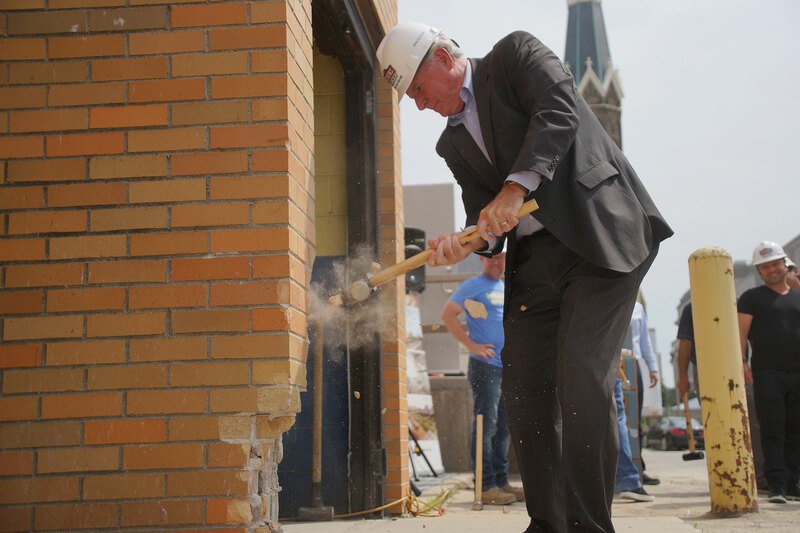 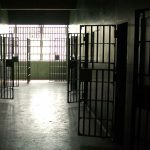 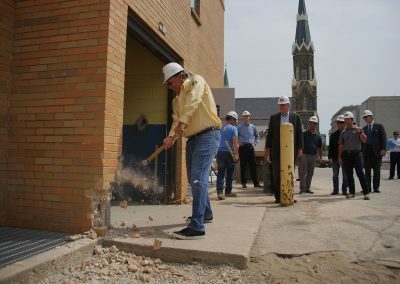 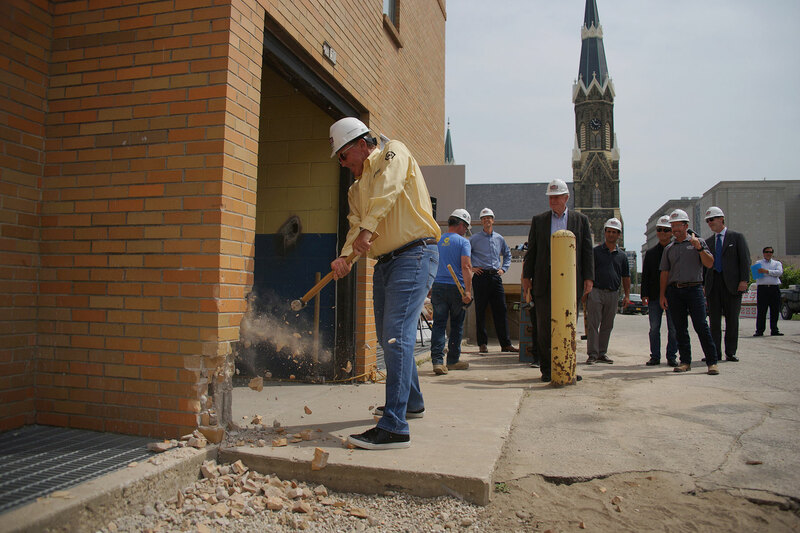 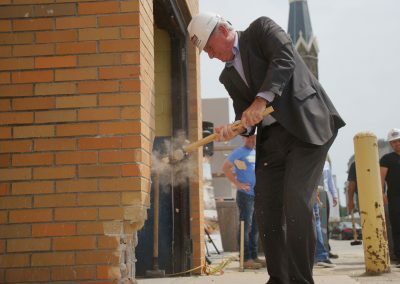 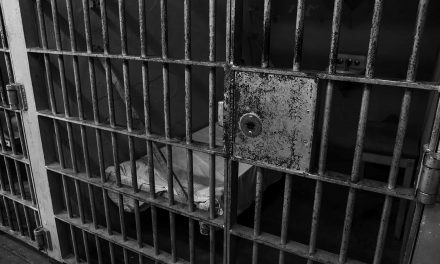 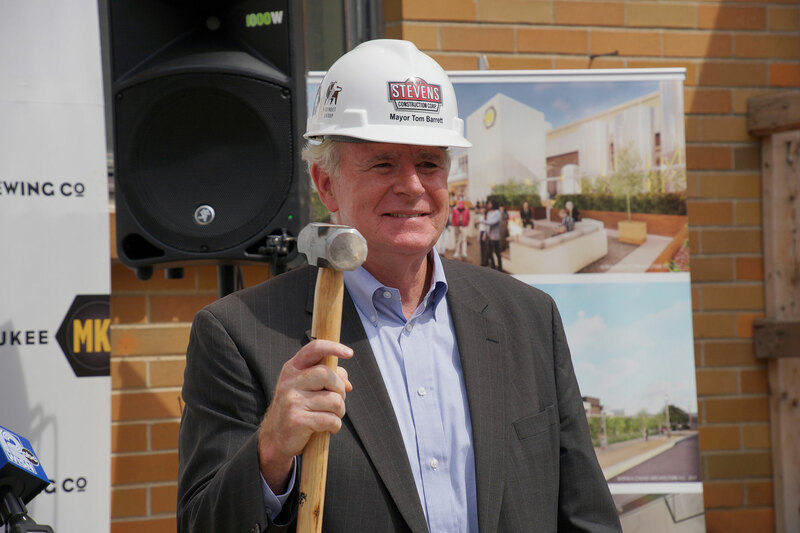 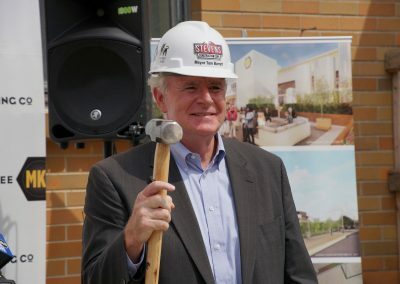 Because the building was being renovated and not constructed, the ceremony included sledgehammers that were used to smash off chunks of the previously remodeled exterior facade. 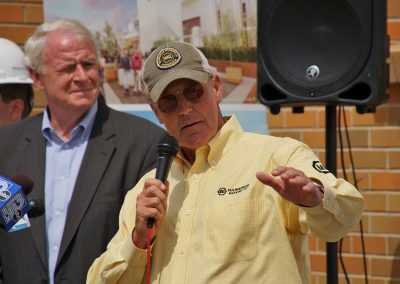 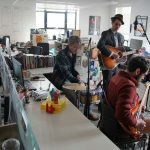 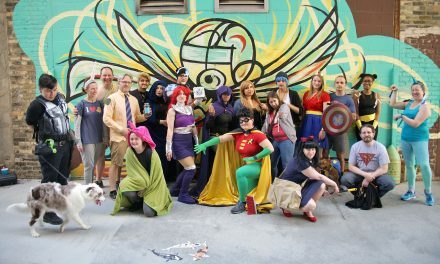 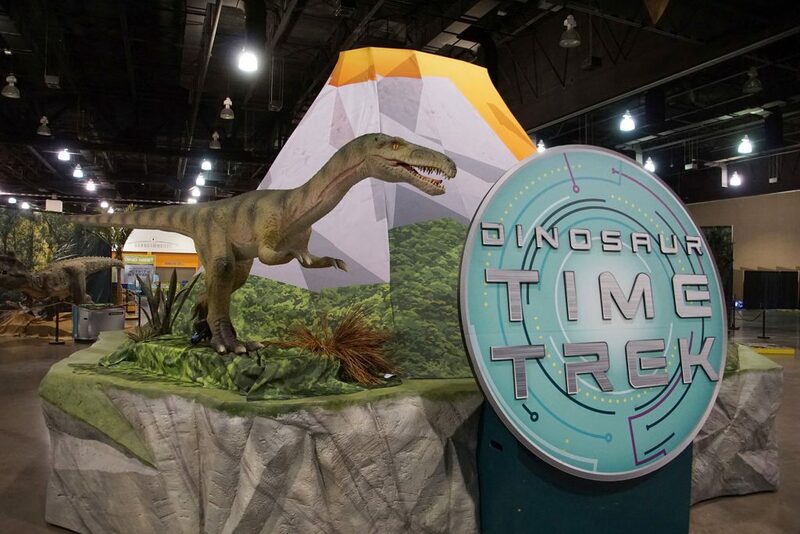 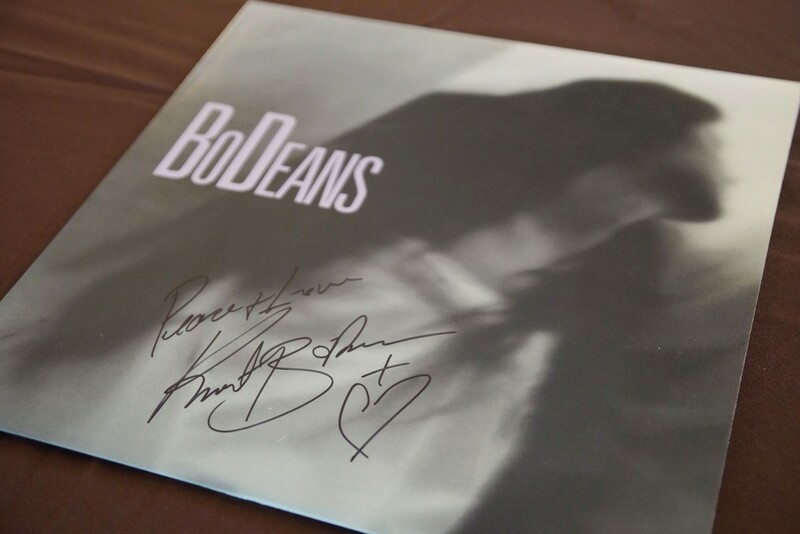 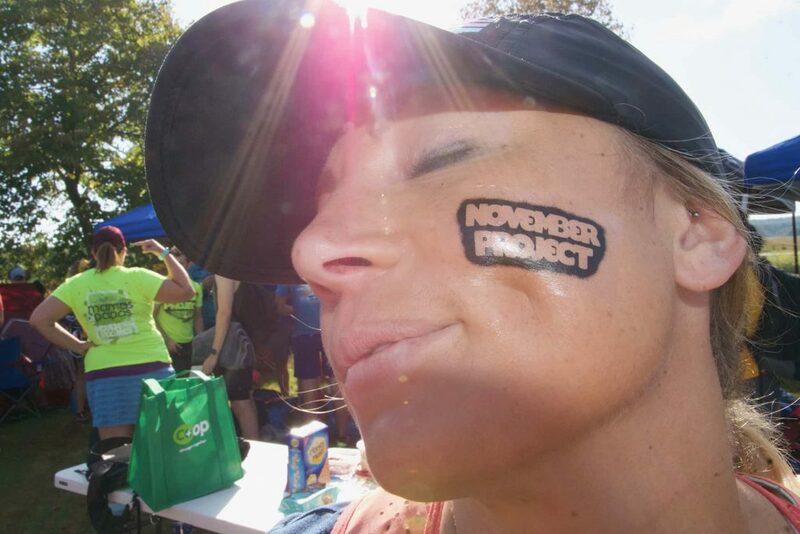 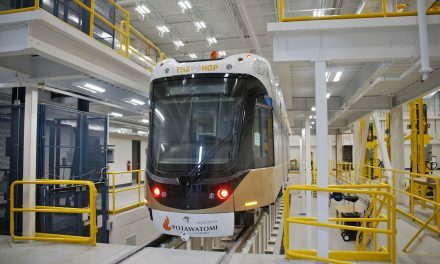 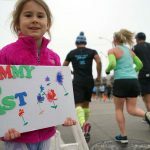 These images present some highlights from the event.